Low-profile, one-sided felt padding is less bulky so it molds more easily. All-in-one splint eliminates the need for splint assembly. Hypoallergenic, water-repellent felt padding dries much more quickly than standard padding. Provides strong, lightweight support in minutes. 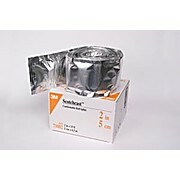 A fiberglass casting tape that does not set to a completely rigid state, but remains flexible and soft even when it is completely cured. Easy to apply and remove. 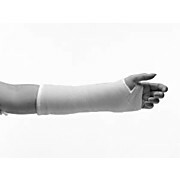 The soft, pliable cast edges improve patient comfort.